MALAYBALAY CITY (Bukidnon News/02 March) The contingent from the Municipality of Kitaotao, home of both Manobo and Matigsalugs, won the grand prize for the Kaamulan 2013 street dancing and ground presentation competitions Saturday, according to the results released by the Provincial Public Affairs Information and Assistance (PAIA) office. The Kitaotao performers featured the Manobo and Matigsalug tribes’ thanksgiving dances after they fought Aragasi, a human-eating giant who killed a woman. Kitaotao performers featured dances like inemung characterized by heavy stomping of feet on the ground to awaken or call the attention of Manama, the spirit of the Land. They also featured oripon, a typical dance of the Matigsalug performed to signify tragedy, sadness or slavery. The contingent also performed “bangkakawan” or instantaneous and unsynchronized beating and pounding of the bangkakaw, which is a hallow cut log. 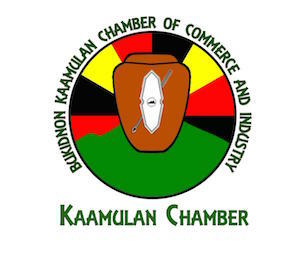 The prize-winning performance used agong, togonggo (small suspended gongs), tambol or drums made of hollowed wood covered with animal skin fitted over one end; bantola or bamboo drums, kubing or bamboo harp, pulendag or pulaa (bamboo flute), kudlong or a two-stringed wood instrument, saluray or a bamboo instrument with eight strings, and ngulngulan or wind instrument made of bamboo used to imitate sounds of the birds. The contingent from Talakag town won second and that of Valencia City third in the street dancing competition. In the float competition, Talakag’s contingent, which featured animals like carabaos and horses in its float won. Dangcagan placed second and Don Carlos, third. In the ground presentations, Kitaotao won; Valencia placed second; and Talakag, third. Carl Binayao of the National Commission on Indigenous Peoples –Bukidnon office described the dances featured by contingents from six towns and two cities as “close to authentic.” He said each contingent obtained consent from the respective tribal councils in their areas after a validation process, sort of a free and prior informed consent (FPIC) process. He said the tribes checked the storyline, colors, costumes, steps, music, symbols, and other elements projected in the dance presentation. 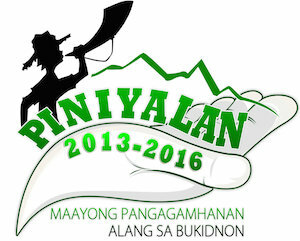 congrats…to the winners….mabuhay kaamulan 2013.